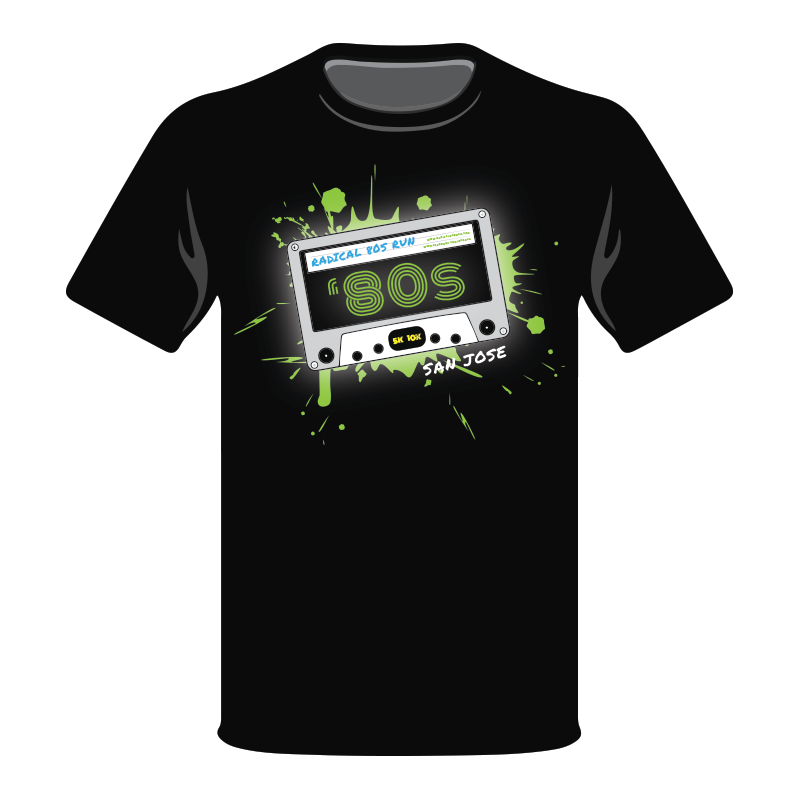 Each participant will receive a totally awesome unisex 80s themed t-shirt, plus a super-rad finisher's medal to commemorate your participation and remind you of that super-fun run you did that one time. Our bib numbers will be awesome too, as usual, so hang on to those bad boys and stuff them in your next scrapbook for safe keeping. 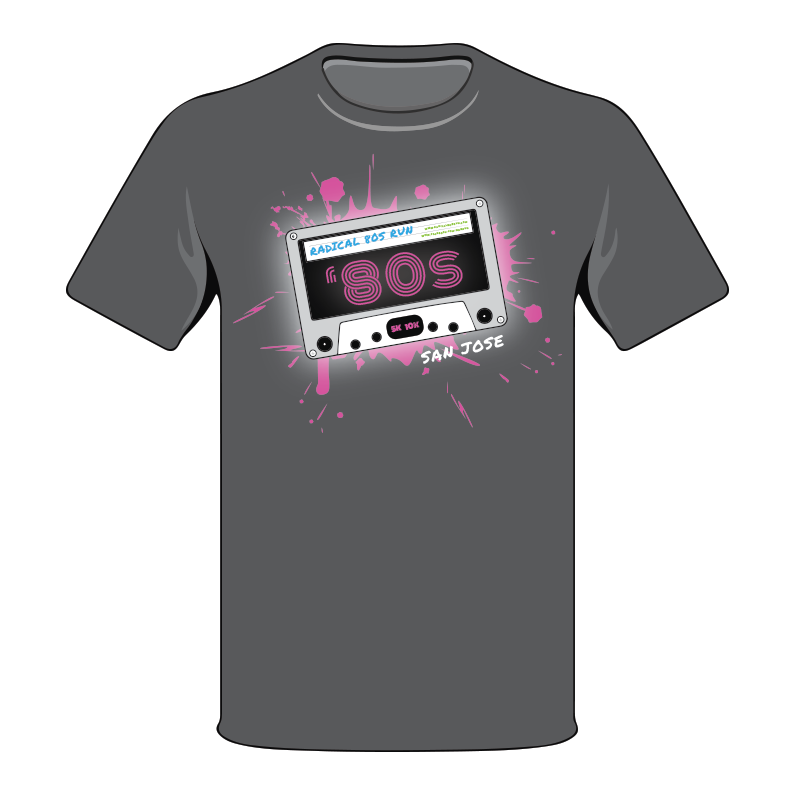 Kuddos to our graphic designer; he is pretty awesome at what he does. Hang out with us! 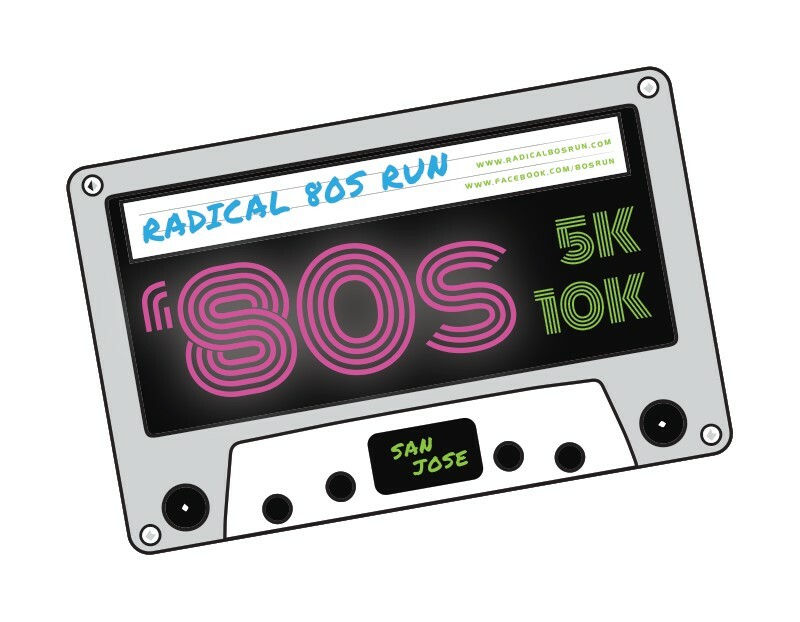 After the event participants are welcome to jam out and enjoy a playlist containing some of their favorite 80s jams and refuel on healthy food and snacks, which will include muffins, croissants, apple sauce, yogurt, fruit, cookies and more. Let's not forget that just like in years previous to this one, we're bringing back Kona Shaved Ice to quench your thirst and keep you cool in the warm summer sun. We will also host an awards ceremony and a prize raffle for awesome gear and goodies. How's that for another post worthy photo opp? It's going to be totally rad! Here's a flashback to swag from previous years; 2019 is in the works and we can't wait for the big reveal! Check back for updates as things are still being developed.